Rainbows spinning on a heart! The perfect childhood combination of awesome. As a kid, I’d spend hours decorating my room with arrows and conversation hearts. Construction paper hearts in pink and red still have a soft spot for me. I have a feeling that this DIY/parenting blogger gig is just the right job for me. It seems my three children (10, 7, and 5) have inherited much of the same affinity. We’re running low on red paper right now, and there’s not a red marker left in the house with any kind of color in it. And it’s wonderful! Valentine’s Day is also the perfect time to appreciate friends (and distract oneself from the long-standing gray we’re experiencing in February). Many schools have changed the name of classroom celebrations to Friendship Day, and though I’m a big fan of St. Valentine, I also love that we take some time out to appreciate just how much we all need and love those special people in our lives who are not related to us. Valentine’s Day is not just for the kids. We grown-ups get to reach out to send love to our pals, too! I received a sweet note and bar of chocolate from a long distance friend yesterday, and it made me want to send out Valentines to all of my girlfriends, now spread all over the world. Christmas is my time to send family updates and kid photos, but maybe I could make Valentine’s a time to send some appreciation out to the women who have laughed and cried and kept me going through some serious times. When was the last time you mailed a sweet message to a friend? As a former teacher, I’m partial to a great school supply as a gift! We raided the pencils, erasers, and stickers with the cute designs and colors and left the sugar rush behind. To make the fresh pencil more wonderful, we decided to add a rainbow spinner. VALENTINE, YOU KNOW THE WRITE WAY TO SPIN ME. Forgive me Miss Watson, my second grade teacher, I know I used the wrong homophone. All for the sake of friendship. 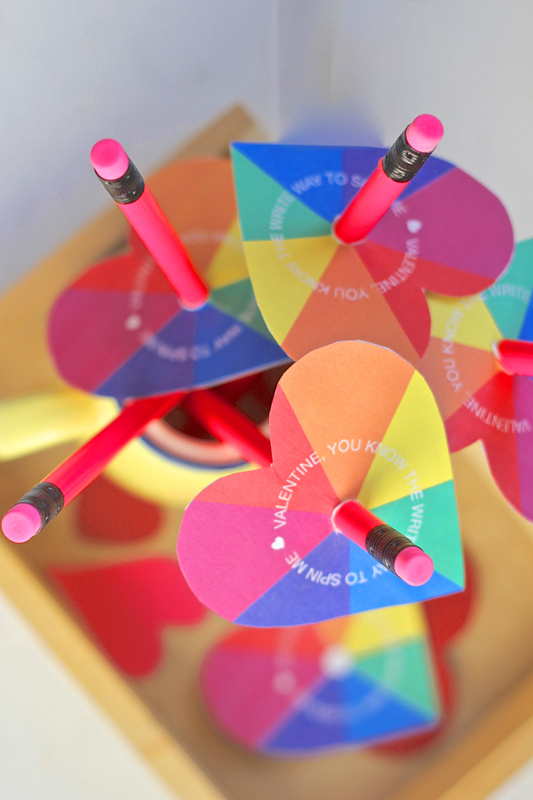 To make your own, print the Printable Rainbow Heart Spinner. 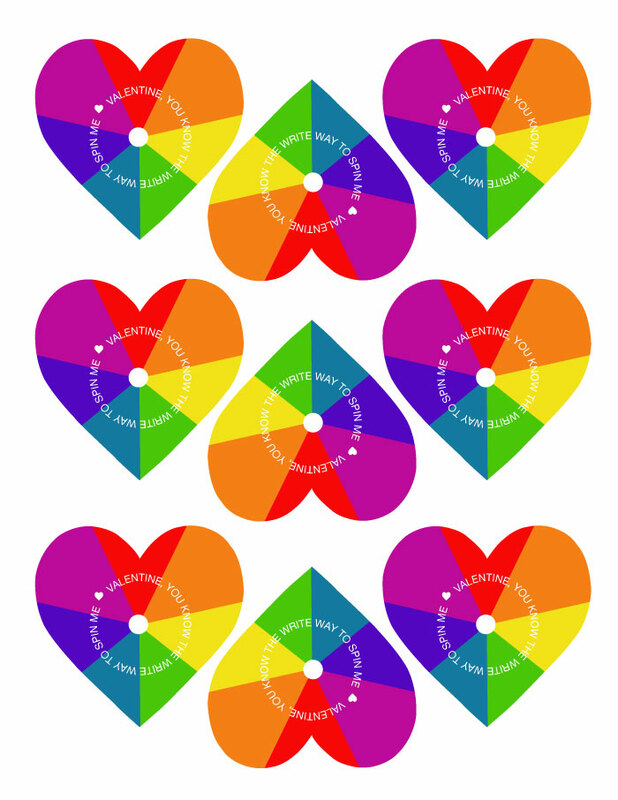 Cut out each heart, and glue each heart back to back so that you have a double-sided rainbow heart. Folding the paper loosely, cut out the center circle. 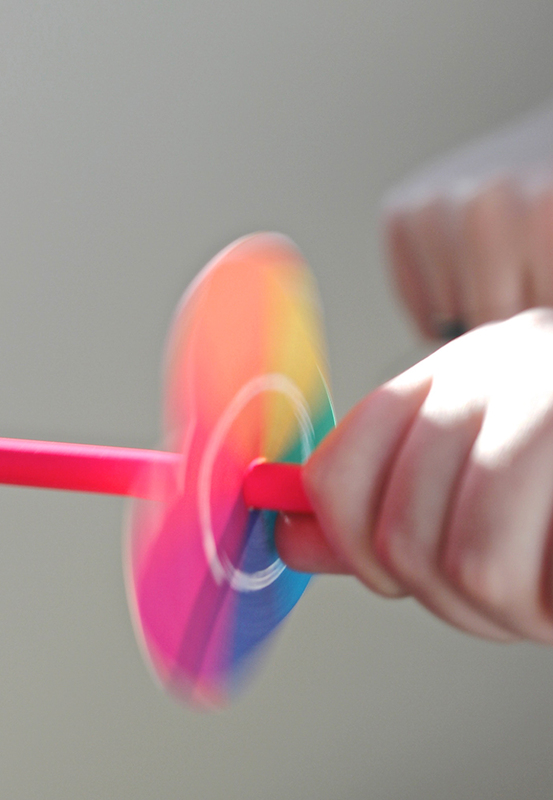 Push the pencil through the hole and wiggle a bit back and forth to create a slightly wider hole for great spinning. String these hearts with some twine for a colorful celebration of friendship in love at home! Happy Valentine’s Day, friend. Thanks for the love that you spread! 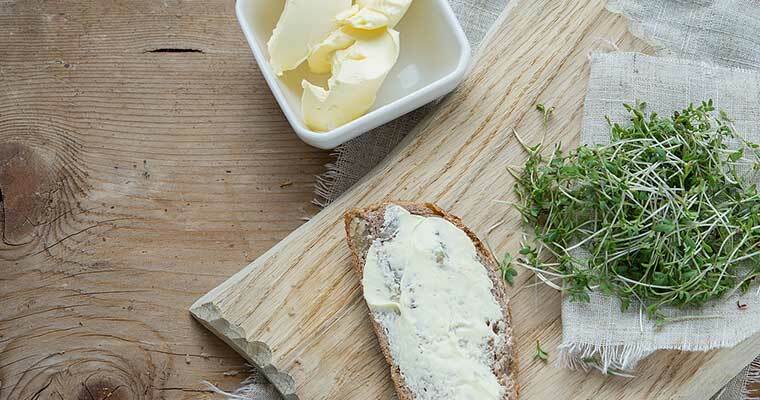 Today’s post was brought to you by our newest contributor, MJ Kocovski of Pars Caeli. 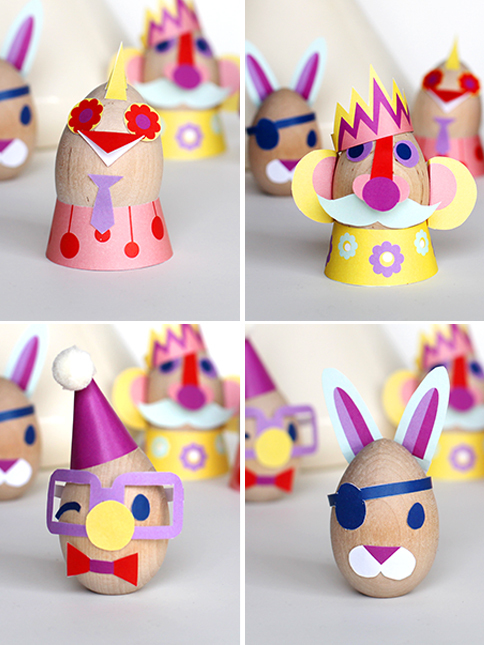 Looking for more cute Valentine’s ideas? 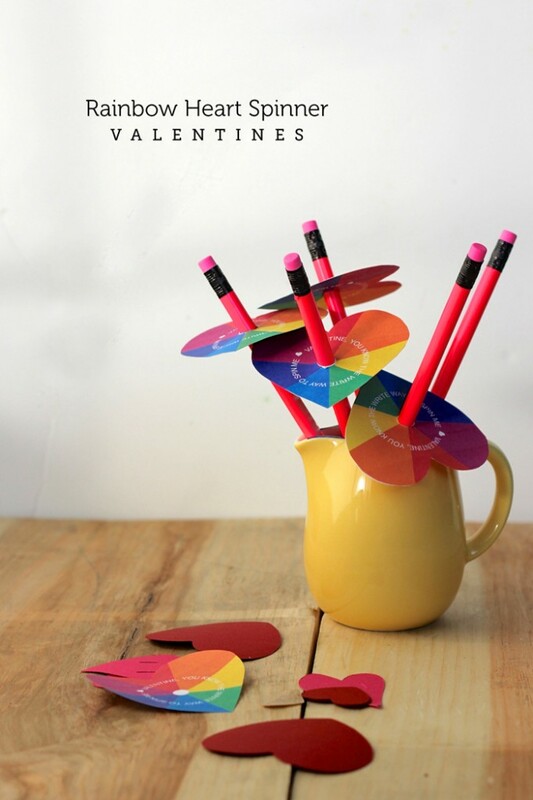 Check out her printable eraser Valentines, printable bubble Valentines, and paper straw easels. MJ is a graphic designer, social media specialist, former teacher (or teacher alum as she prefers), mom to three, wife to one, and passionate human. I believe in loving big. And packing crayons. Visit her at Pars Caeli.